Rutte notes his government already took "an unprecedented step" against Turkey last week by refusing permission for a Turkish Cabinet minister to enter the Netherlands. ANKARA: Dutch Prime Minister Mark Rutte says it is far too early to start mediating between the Netherlands and Turkey to contain the fallout from their unprecedented diplomatic spat. Speaking after the last debate on the eve of the Dutch elections, Rutte said, "The soup is so hot, that if someone puts his lips to it, it will go wrong." He promises, though, that his government will not seek to worsen the situation by, for example, expelling the Turkish ambassador. It says that would only "be escalating things." Rutte notes his government already took "an unprecedented step" against Turkey last week by refusing permission for a Turkish Cabinet minister to enter the Netherlands. The official wanted to address Turks living in the Netherlands who are eligible to vote in Turkey's April 16 referendum on expanding President Recep Tayyip Erdogan's powers. The governor of a German state says that she wants to prevent Turkish government officials from holding political rallies there before Turkey's constitutional referendum. The western state of Saarland said it would use "all opportunities" to prevent such rallies. Governor Annegret Kramp-Karrenbauer said in a statement that "Turkish domestic conflicts have no place in Germany. Campaign appearances that threaten the domestic peace in our country should be banned." The move would mirror a similar move by the Netherlands that has stoked tensions between Turkey and Western Europe. So far, Germany's federal government has said that it won't impose a blanket ban on members of the Turkish government holding political rallies in the country. Kramp-Karrenbauer, who faces a state election on March 26, is a member of Chancellor Angela Merkel's center-right Christian Democratic Union. It's unclear whether Turkish officials had any plans to campaign in Saarland, a small state on the French border. Dutch Prime Minister Mark Rutte has condemned comments by Turkey's president holding Dutch U.N. peacekeepers responsible for the massacre by Serb forces of some 8,000 Muslim men and boys in Srebrenica, eastern Bosnia, in 1995. President Recep Tayyip Erdogan said: "We know the Netherlands and the Dutch from the Srebrenica massacre. We know how rotten their character is from their massacre of 8,000 Bosnians there." Speaking to Dutch broadcaster RTL Z on Tuesday, Rutte called the comment a "disgusting distortion of history." 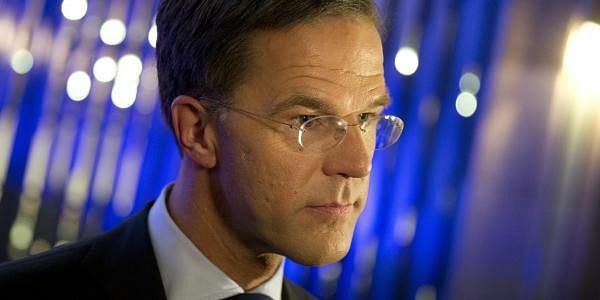 Rutte added: "We will not lower ourselves to this level. It is totally unacceptable." Germany's top security official says his country needs no "extra tuition" from Turkey on fighting terrorism or countering the activities of the outlawed Kurdistan Workers' Party, or PKK. Turkish President Recep Tayyip Erdogan on Monday renewed accusations that Germany supported "terrorists" battling Turkey. German Interior Minister Thomas de Maiziere noted Tuesday that the PKK is banned in Germany and "we don't tolerate terrorism, including by the PKK." He added: "Any leads from Turkey on such activities in Germany that are usable in court are very welcome — but we don't need extra tuition on how to deal with fighting PKK terrorism that is supported and organized from Germany." De Maiziere said that "Turkey itself remains an important partner for us in the fight against international terrorism." Germany's interior minister is appealing to residents of Turkish origin not to regard people who disagree with them as traitors, Nazis, terrorists or enemies of Turkey. Thomas de Maiziere said Tuesday: "We will not tolerate it if representatives of other states try to position whole groups of the population against the country in which they have lived freely for many years or since their birth, where they work, go to school, bring up their children, in which they are at home." Turkish President Recep Tayyip Erdogan accused Germany of "Nazi practices" after local authorities blocked appearances by Turkish officials campaigning ahead of a referendum on giving Erdogan more extensive powers. That drew a rebuke from German Chancellor Angela Merkel. De Maiziere said: "We should not endanger the integration successes of the last decades for a short-term, questionable success." Italy's foreign minister has urged for calm in the ongoing diplomatic spat between the Netherlands and Turkey, saying further confrontation is in no one's interest. Angelino Alfano, on a visit to Serbia, says that "we have an obligation to ask the parties involved to tone down the rhetoric, to bring the level of argument down." But Alfano adds that "we can however understand the decisions taken by certain countries, starting with Holland." He says Italy's good cooperation with Turkey "does not mean we should close our eyes on certain questions that our tradition and the history of our country will not allow us to close our eyes to." Alfano spoke after meeting Serbia Foreign Minister Ivica Dacic. His comments were translated from Italian to Serbian. Turkish President Recep Tayyip Erdogan has called Germany and the Netherlands "bandit states" that are harming the European Union. His remarks came amid Turkey's growing tensions with the two countries over Turkish ministers' plans to hold campaign meetings there. In an address to health sector workers that was televised live on Tuesday, Erdogan said the two countries' reluctance to let Turkish ministers attend political rallies there was diminishing the EU as a symbol of laws, human rights and freedoms. He said: "Europe is too important a continent to be abandoned to the mercy of the bandit states." Erdogan said Turkey would seek the help of the Organization of Islamic Cooperation and other organizations to intensify the fight against what he called hatred against foreigners, racism and anti-Islam trends. Erdogan said Turkey would consider other sanctions against the Netherlands, but did not elaborate. In a new verbal attack against the Dutch amid their growing diplomatic spat, Turkish President Recep Tayyip Erdogan has held the Netherlands responsible for Europe's worst mass killing since World War II. Erdogan was referring to a Dutch battalion of United Nations peacekeepers who failed to halt the slaughter by Bosnian Serb forces of some 8,000 Muslim men and boys in Srebrenica, eastern Bosnia, in 1995. In a speech televised live on Tuesday Erdogan said: "We know the Netherlands and the Dutch from the Srebrenica massacre. We know how rotten their character is from their massacre of 8,000 Bosnians there." The mayor of Rotterdam says that specialized armed security forces he sent to a standoff with a Turkish minister on Saturday night had permission to open fire if necessary. Speaking late Monday night on a television talk show, Mayor Ahmed Aboutaleb said he sent the special armed intervention unit to the Turkish consulate amid fears that a 12-man security detail that had driven to the Netherlands from Germany with Turkish Family Affairs Minister Fatma Betul Sayan Kaya could be armed. The Turkish minister was eventually escorted out of the Netherlands in the early hours of Sunday. Earlier, the Dutch also had refused Turkey's foreign minister permission to visit. Both ministers wanted to address rallies about next month's constitutional reform referendum on giving President Recep Tayyip Erdogan more power. Turkey has criticized the European Union for siding with the Netherlands in a diplomatic dispute over Turkish ministers' plans to hold campaigns there, saying the EU's position "lends credence" to extremists. A Turkish Foreign Ministry statement Tuesday said the EU's stance on Turkey was "short-sighted" and "carried no value" for Turkey. It said the European bloc, which called on Turkey to cease excessive statements, "ignored the (Netherlands') violation of diplomatic conventions and the law." The spat is over the Netherlands' refusal to allow two Turkish ministers to campaign and court the votes of Turks eligible to vote in an April 16 referendum on expanding Turkish President Recep Tayyip Erdogan's powers. Turkey on Monday slapped a series of political sanctions against the Netherlands, including halting political discussions between the two countries.